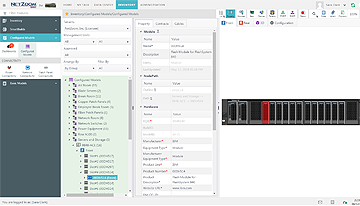 It is an intuitive, hardware agnostic Asset Management solution to manage Data Center IT Infrastructure, Facility Infrastructure and Audio/Video Infrastructure for a small data center or network room. 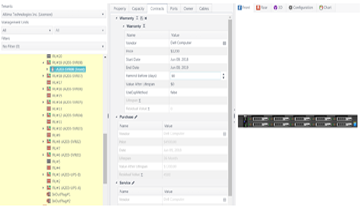 NetZoom Basic replaces and supersedes the single-user, desktop version of NetZoom. 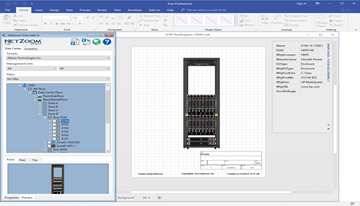 NetZoom Basic is popular among Data Center professionals, Audio Video professionals, Network professionals, System Administrators, Consultants, Integrators and other Solution Providers who need to Model and Manage device infrastructure, connectivity and cabling in Racks, Cabinets and Shelves and to generate Reports and Visio Diagrams for their projects. Manage IT and Facility assets for small installations. 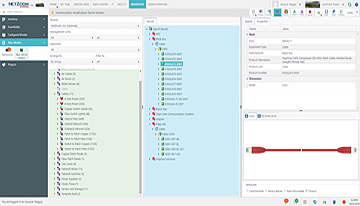 Configured devices and Rack elevations for reuse; manage complete asset lifecycle. Manage Power and Network connectivity including Fiber and Copper connections.